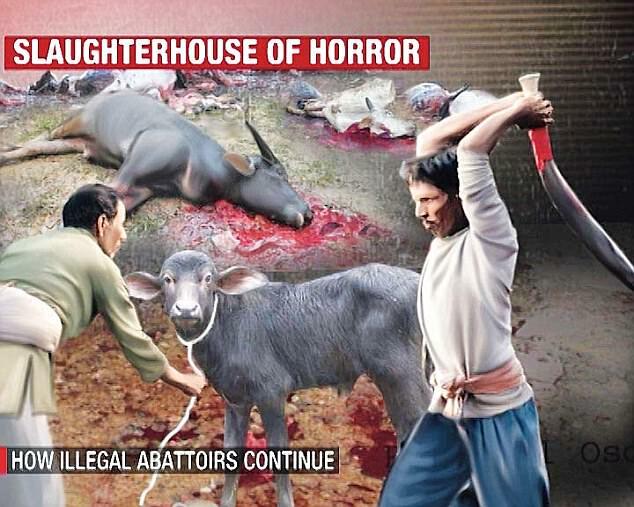 A buffalo slaughterhouse named as Al Nasir Exports bursts into their illegal activity at night. When darkness descends, this place turns into a house of horror as throats of hundreds of buffaloes and calves are brutally slashed by the swords. In a secret operation, India Today‘s team walked into the Slaughterhouse and recorded some must scene footage on its secret cameras. The butchers are even violating the Anti-cruelty law. In this law, the killings of pregnant or nursing animals and their babies less than three months in age are completely banned. In the bushes of Amroha, the investigative journalists saw a truck heading towards to some place with livestock crammed into it. The journalists visited the house which served as a shop for sale of buffalo meat.